OLD PARKED CARS. 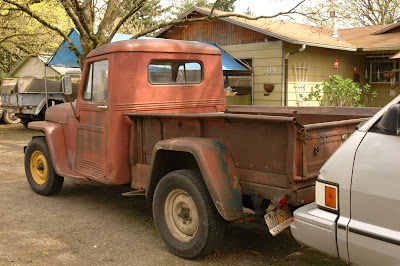 : 1948 Willys Overland Pickup. Nice! Also loving the Toyota Van behind it! Beauty! It looks like 2WD. These are rare now. Classic Jeep styling with the convenience of a pickup bed. 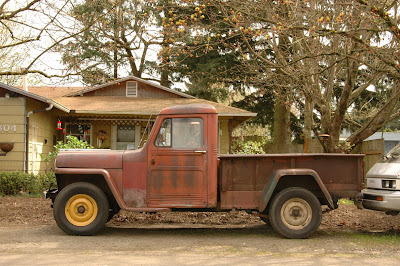 Great patina, but no rust or serious dents. Awesome. What's that army looking thing in the background of pic 2? good eye. 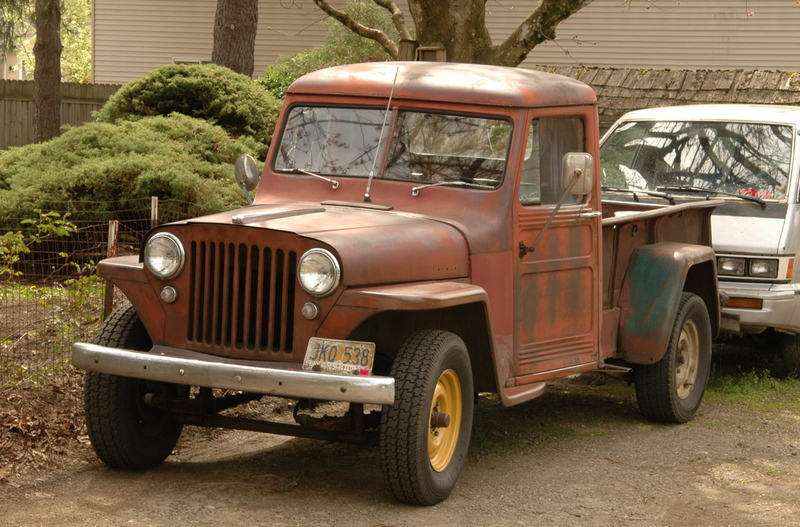 it's another willys, most likely a donor vehicle. this is my fave willys posted so far, pretty sure. 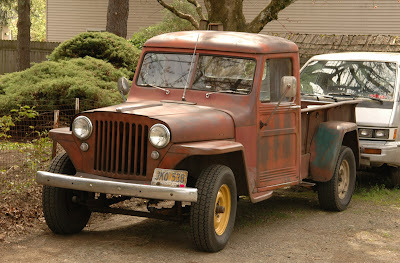 i'd love to see (and own) a cj of this vintage. The profile shot is worth a header alone. It speaks volumes about who you guys are and what you're all about. Love how much personality it has...this truly is an honest pickup. Cool Toyota van behind it, too. thanks for that comment, dave. i continue to be amazed that folks get what we're doing here.